You may have heard about jacuzzis. But are you familiar with the hot tub hammock? It is another useful gear that adds more fun to your camping and outdoor getaway. In simple words, a hot tub hammock is a hammock which you can also use as a hot tub. Yes, you heard it right. It is a hot tub, water bed, swimming pool and hammock in one. If you are dreaming of relaxing in a hammock while dipping in a hot tub on a nice Sunday afternoon, this can probably make your dream come true. The portable hot tub hammock can make dipping on a hot tub to the next level. A portable hot tub hammock is pretty versatile. You can use it as a hammock, a hot tub, a swimming pool, a water bed, and also a hot tub liner. You can fill it up with water using a heater and a hose. You can also fill it up with water from a lake or river if you are using it outdoors. You can hang it between two trees or on sturdy metal railings. If you are going to the beach, you can also dig up a couple inches of sand and use it as an instant hot water bed. You can form it into your desired shape. To make it more exciting, you can use the portable hot tub hammock for your bubble bath. You can also put some essential oils into the water to make the hammock experience even more relaxing. 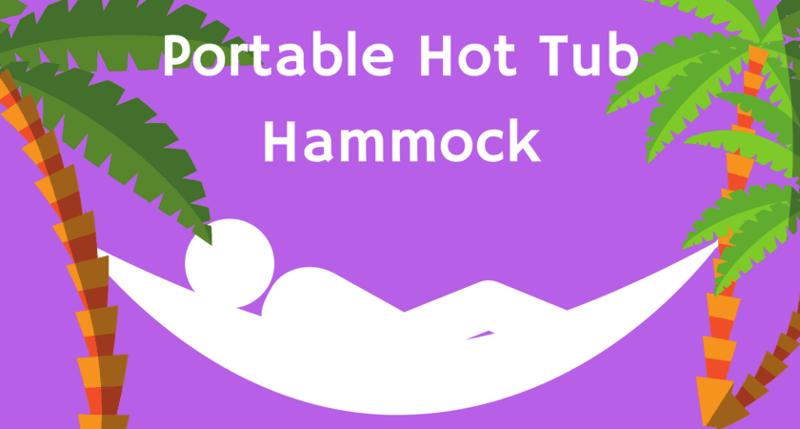 A portable hot tub hammock can be used anywhere. It can be used in your backyard, in the forest and even in snowy places. It usually comes with a heater, water pump and hose to make it more convenient to use. How much is a hot tub hammock? The cheapest single layer hammock (without a heater) costs around 450$. A bundle of a heater and a hammock can be bought for about 1850$. Get ready to pay another 350$ for a hydro hammock stand. 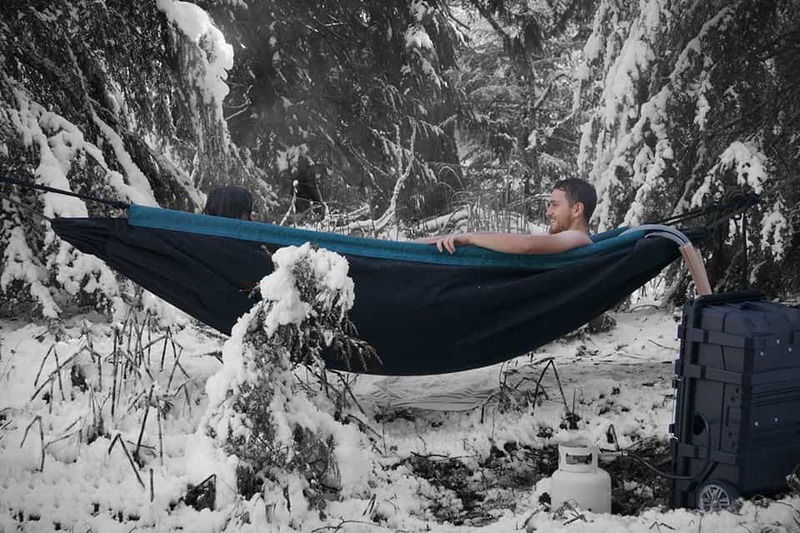 Portable hot tub hammock can hold up to 50 gallons of water and two full-grown individuals. It is made from a durable and lightweight material that can withstand harsh weather and endure the weight of water. The material used in making hot tub hammock is high tensile strength fabric, which is slip resistant and very strong. Hot tub hammocks are available in single and double layer types. The single layer is very lightweight and easy to store. While the double layer type has an extra space for putting in more water or insulation pads. The heating systems of portable hot tub hammocks are usually powered by liquefied petroleum gas or electricity. Other manufacturers are developing solar-powered heating systems for hot tub hammocks, which shall be available in the future. As for the price, hot tub hammock can be quite expensive. It costs around $500-700 depending on the model, not including the heater. The heating system is around $2000.The good news about this amazing outdoor gear is that you can bring it with your checked in baggage. There can be more ingenious ways to experience being in a hot tub hammock. You can either buy just the hammock and manually fill it up using your own heated water at home. You just need to use a little creativity to make outdoor relaxation even more exciting.